Want an Android app for WorkflowMax? 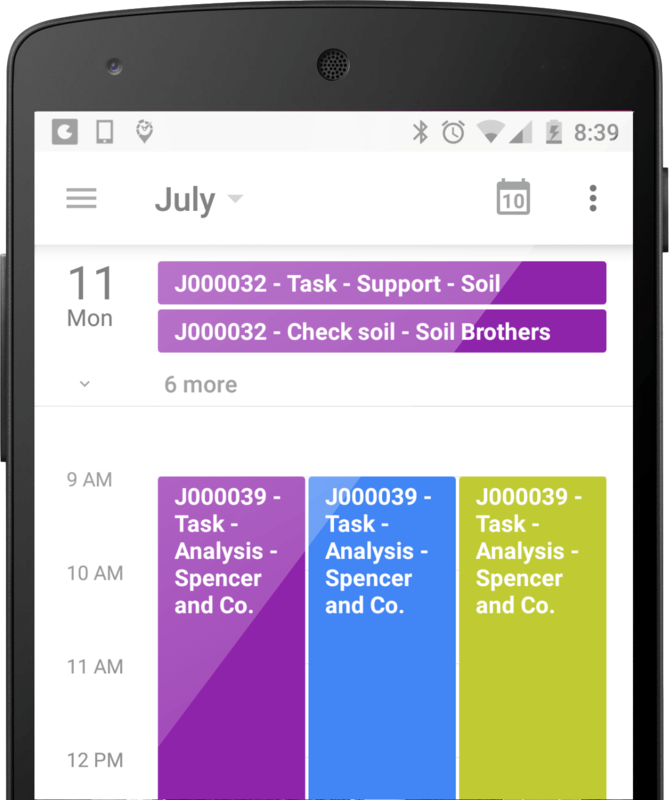 Allow your staff use their own mobile calendar app to reschedule, update or edit and add comments and descriptions directly from their Android or iPhone. This will save time and stress trying to log into WorkflowMax on a PC or Laptop and updating your Job or Tasks status. Keeping your staff mobile and agile keeps your business flowing so expand the use of WorkflowMax without the need to train your staff. The Better Scheduling add-on syncs all of your jobs and tasks and not only displays them in team calendars but with our 2-way sync you can manage them without leaving your Google Calendar. Edit/update/re-schedule from your web or mobile app. We build custom software applications and integrations for G Suite.